Russian Geographical Society divers have set a new world record for diving through an ice-hole. They reached a depth of over 100 meters in the frigid waters of the White Sea. 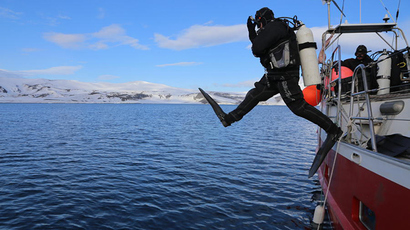 The feat was performed to test Russian-made diving equipment. 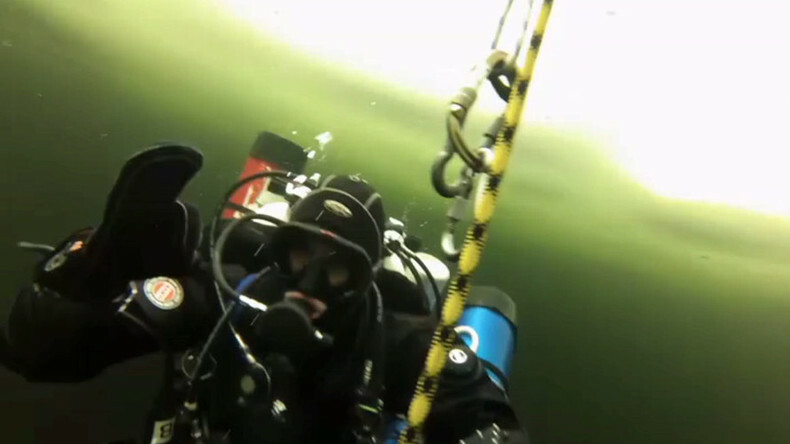 The Arctic ice dive was made on Saturday by professional scuba divers, Maksim Astakhov and Aleksandr Gubin, who spent 80 minutes in the -1.5°C icy waters. Both are part of a diving research group from Kazan, Russia. They were called to test new diving equipment in extreme Arctic conditions. 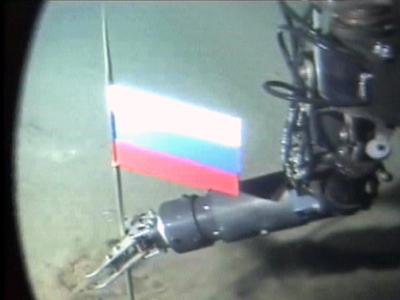 After reaching the seabed at the depth of 102 meters, the divers tested the operability of the equipment and took soil samples, including material from a meter below the sea floor. The achievement was recorded by Bojana Ostojic, a member of the Jacques Cousteau team since 1988. He is also an associate of the World Underwater Federation and a member of the Russian Geographical Society. The dive is expected to help elaborate on basic standards for safe ice diving and provide a methodology for Arctic dives. 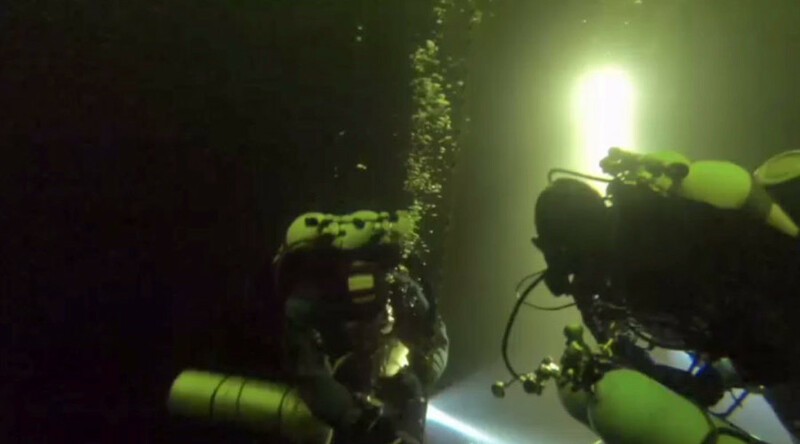 The divers and their equipment were tested not only in extreme subzero temperatures, but also in the high pressure that exists in deep waters. “At a depth of 100 meters my gloves tightened so much it felt like I was going to see my nails. My hands felt terribly cold,” Aleksandr Gubin said. The previous world record set by Russian divers in the Arctic was descending 111 meters into the Barents Sea in July 2015. Although slightly deeper than the latest dive, it wasn’t performed through a hole in the ice. 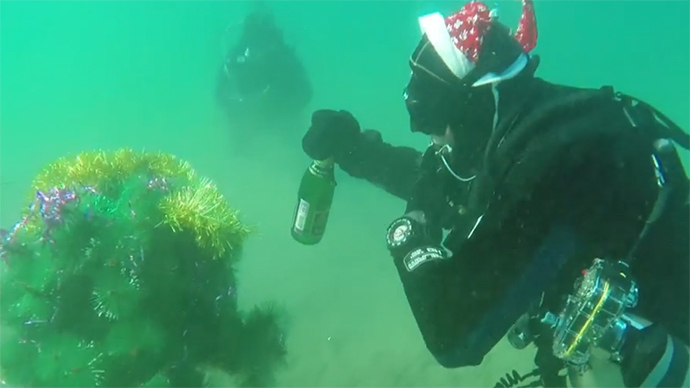 The same diving group has also set a number of other world records, among them several into lakes (maximum depth – 59.6 meters) and a record 97-meter dive in Antarctica.